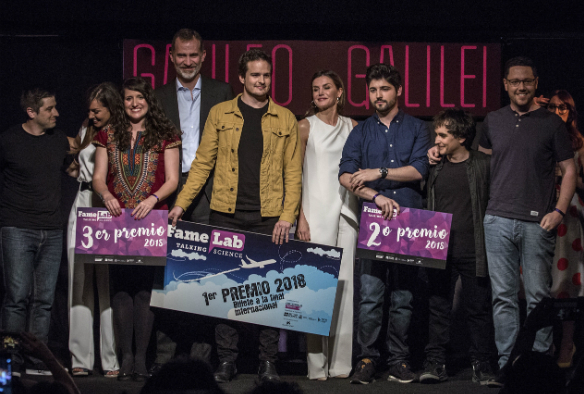 A passionate and engaging talk about Ebola saw NIHR HPRU in Emerging and Zoonotic Infections (HPRU EZI) PhD student Raquel Medialdea crowned third in the national final of FameLab Spain, which celebrates effective science communication in young scientists. Raquel, 26, was born in Gijón in northern Spain, and joined the University of Liverpool's Institute of Infection and Global Health in 2014. Her PhD at the HPRU EZI is focused on improving the diagnosis of emerging zoonotic infections, like Zika. Professor Tom Solomon, Director of HPRU EZI said: “Raquel has done fantastically well. She has shown that it is possible to be an outstanding PhD student and a brilliant science communicator at the same time.